What a year it's been! In terms of blogging I've been to some awesome events, shout out to (Paul Mitchell, Kamigata, The Celtic Manor and Coffee with Curry's. I've had some incredible opportunities such as the Superdrug Beauty Studio launch, being the Boots No7 Match Made Lipstick launch in Cardiff guest of honor and meeting the top dogs at Benefit. I really hope more and many opportunistic and event come along in 2015 aswell! Take care and have a blast! Hope you all had an amazing Christmas, I had such a blast, Ive been all over the place and what a wonderful time it was! Sun photo frames, mood cuff, Astrology watch, Dream butterfly. Kanken backpack (I've wanted one for so long! ), Unsolved Mysteries DVD, Jo Malone candle and bath oil - OMG it is the nicest smelling set I've even encountered - true luxury! Bee mug (my new fave mug ever to hit my shelves), beefayre Winter candle, ThisWorks Deep Sleep set, Narciso Rodriquez edt (gorgeous smell, I've wanted this for years). I know it's not everyones thing but I love him so much, it's gorgeous! Link me up with your xmas present posts! This time of year is so busy, so much to do, so many people to see, so many days spent in bed all day hungover - it's chaos! I'm back home in Devon now, then back in Wales on Boxing day. So I've decided not to force any posting and rather let them come to me until after this busy period just so I can chill my brain out which feels a little frazzled around this festive time and have a proper relaxxx. I just want to say a massive thankyou to everyone and anyone who reads my little blog, I know I'm just a tiny fish in such a massive pond these days but I do this for me as my own little scrapbook and for no other reason. Thankyou to everyone who has supported me this year, checked out my Youtube and commenting on my posts - it means so much! Wether you celebrate Christmas or not this time of year is always a weird one that seems to last forever so I hope you enjoy any time off you have, any time you get to spend with loved ones and any treats you may get (also the food - ohhh the food!). Last Sunday me and Ross were so so lucky to be treated to a spa day at the Holland House Mercure Cardiff. Lucky for us we live literally a stones throw away and this is actually the same place where I joined the gym in Summer. It was a gorgeous, sunny Winter's day and we woke up bright and early and not hungover ready for our spa session to start at 10am. We went up to the spa treatment area which is really gorgeous, relaxed and has little Welsh Love Spoons hanging on the door with each number on - cuute! We donned our robes and slippers and headed to the relaxation room which was really peaceful with huge bed type things to snooze on. - Cleansing and purifying back treatment - which was like a facial for your back which included massage. It was basically heaven, I also got a sneaky little leg massage included which Lord knows I need after being on my feet 8 hours a day! The products used were Decleore, they were fabulous and the whole treatment was amazing, however my one little complaint which I know is definitely not the staff's fault at all they were all amazing but the one thing was that after the treatment they try to make you buy the products that were used. Now this is fine but the weird hard-sell at the end of being so relaxed and also if you've shelled out £90 each for the day I think trying to get you to spend an extra £30 odd for each product is a bit cheeky. Anyway, moving on - the food! After the kitchen bought us the wrong order we finally had our lunch. I had the chicken fajita wrap and Ross has a cheese and pickle sandwich, it came with a tiny bowl off Wheetos and a tiny soup too! I had such a lush relaxing day and I would definitely go for a treatment there again the as the spa staff were amazing and knew exactly what they were doing. Where is your fave place to spa? 'Tis the season and all that so here is a little review of LUSH's ultimate festive bath bomb - Father Christmas*! The novelty of coloured baths does not wear thin on me one bit so as soon as I dropped him in the hot water and he started fizzing out green I was so excited for my neon bath! Not only does it suprise you with the cool colour change it also have tons of bubbles too which most bath bombs don't produce - maybe it's his wicked beard? The smell is basically Snow Fairy which is the most popular LUSH product ever, people literally buy tons of bottles in the 3 months it's around for. I usually wait until the Boxing Day sale and grab a small bottle for myself. I love the scent, it's sickly and it's sweet but it does grate on me after a while as I prefer deeper scents. But for this bath bomb the scent was like a lighter cotton candy version of Snow Fairy and was actually not that overpowering. I also used my Miss Patisserie soap bar*, their website is all new and fancy now so I couldn't see it on there but I'm pretty sure it's a lavender based one and they have a lavender soap which is similar online now. Have you tried any of the festive LUSH range yet? Last week me and Ross head on over to Cardiff's Winter Wonderland for a spot of ice skating as part of Simplyhealth's Healthy Habits campaign which is encouraging leading a healthier lifestyle including exercise. Bratwurst - literally one of my fave foods! Whoever invented sausage in a bun needs a medal. Bavarian Bar and Food Stall. We headed right to the Bavarian Bar for my absolute favourite Winter tipple - Bailey's hot chocolate! As well as that it was 8pm and we hadn't eaten since about 2pm so we were ready to gob down a delicious Bratwurst from the food stalls. The we walked up through town to Winter Wonderland to have a mooch, grab another festive drink and then get ready to hit the ice. I did not fancy the Sky Swing which coincidentally has been all over the news this week as a gust of wind blew one carriage into another IN MID AIR! It looks so scary, here is the Sky Swing news article, the ride has been closed again for a few days this week due to high-winds. Not for me, ta! I love these bi-lingual mugs! We decided on another drink, Ross went for a 'Flirt' a.k.a Mulled wine with an Ameretto shot and I went for a 'Heidi' which was hot Raspberry wine with a Cherry liqueur shot. It was really nice but so strong and boozy! No wonder it's only in a tiny mug, you only need to sip it slow! Cardiff's FM were blasting music and there was even a Bavarian band who played (see my video below to hear!). I had such a fun time and I've been in such a festive mood since, take a look at my video below for our little trip on film. Have you been to any Winter Wonderlands this year? 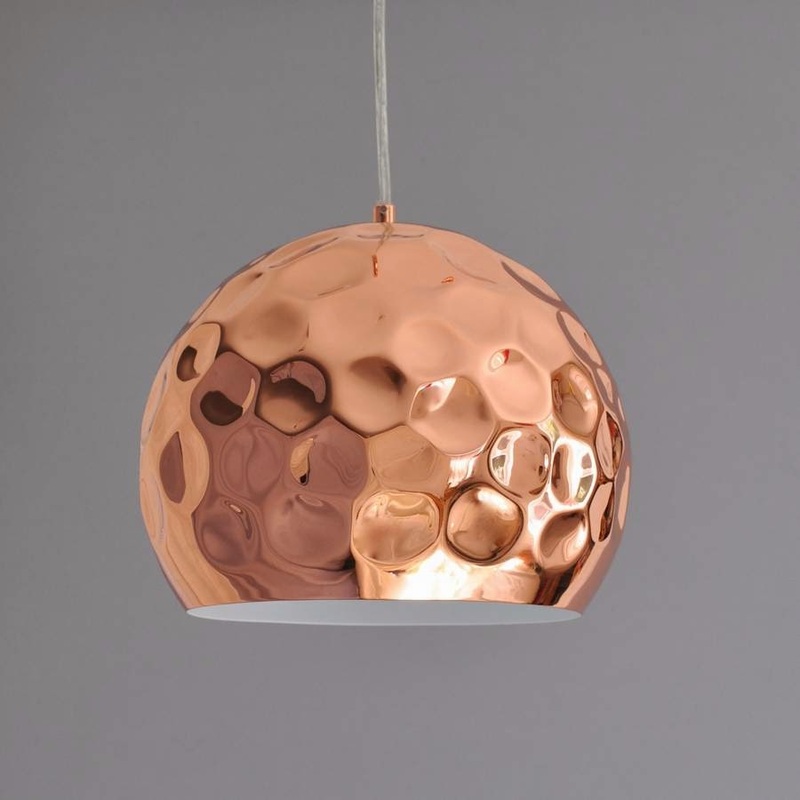 It's Sunday night and bordem got the best of me and I find myself browsing homewares for a home I don't have yet - again! Tonight had me on 'NotOnTheHighstreet' which is a site which basically sells EVERYTHING but it's all a little special. Tonight while browsing I found an amazing little shop called 'Henry's Future'. This is a family run company of artists and designers named after their son Henry - cute! I love the look of cameo glass, that porcelain look is gorgeous. 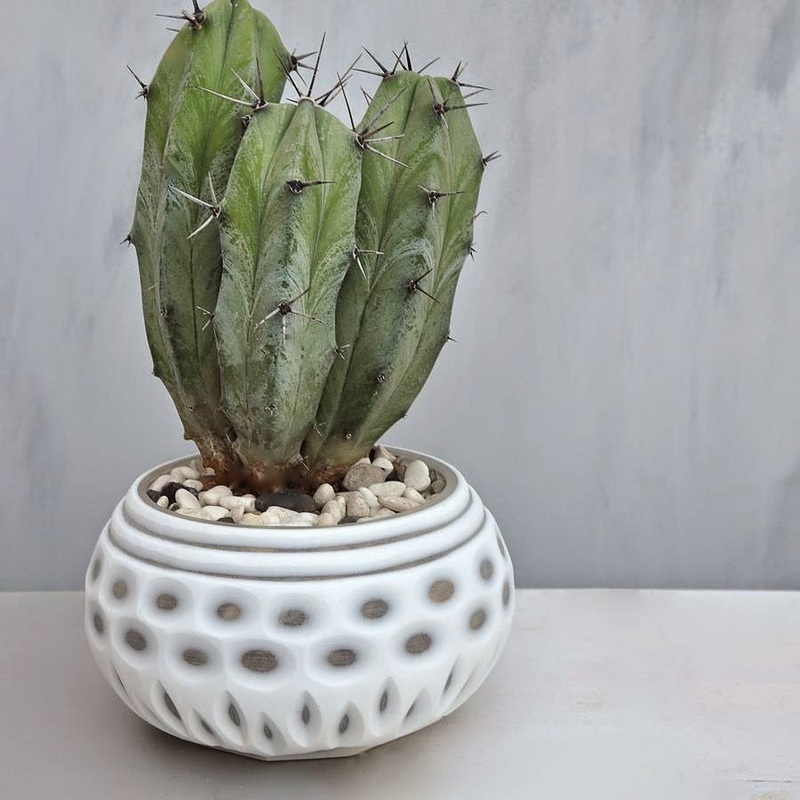 I really want to join a pottery group at some point in 2015 to try my own hand at this amazing craft. Although this is quite a festive looking piece but I love that tacky looking brassy gold. 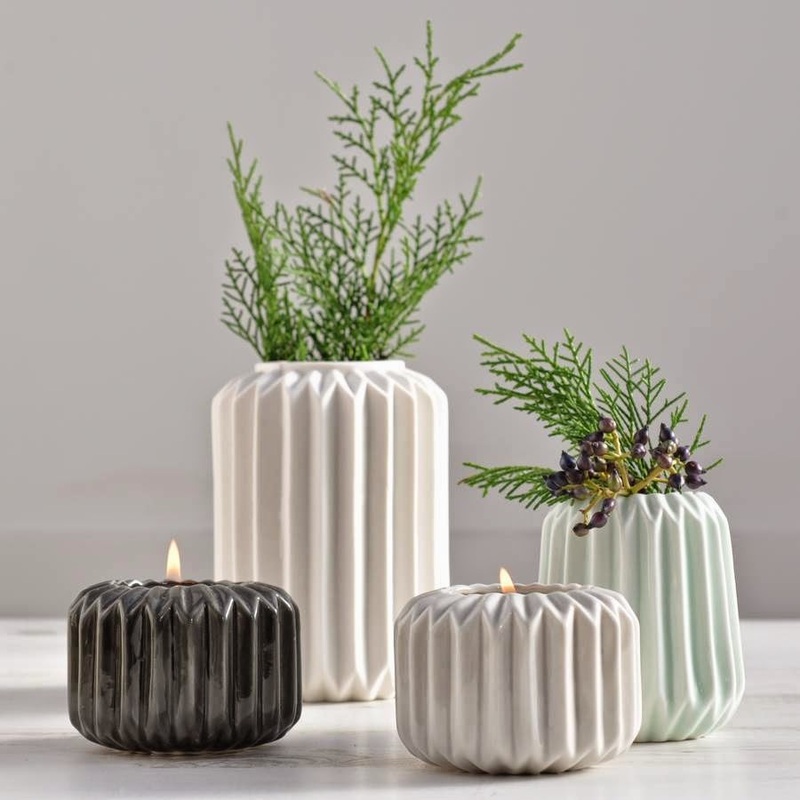 Ori Folded Vase - different prices depending on size and colour. In love with this design and the grey and min especially are gorgeous. 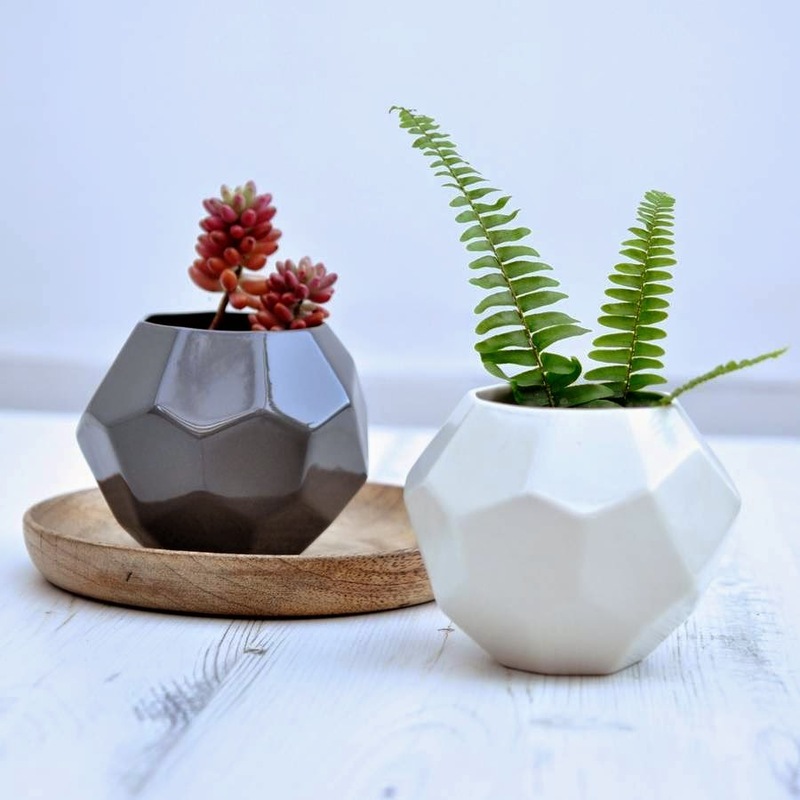 Im totally in love with these geometric babes! 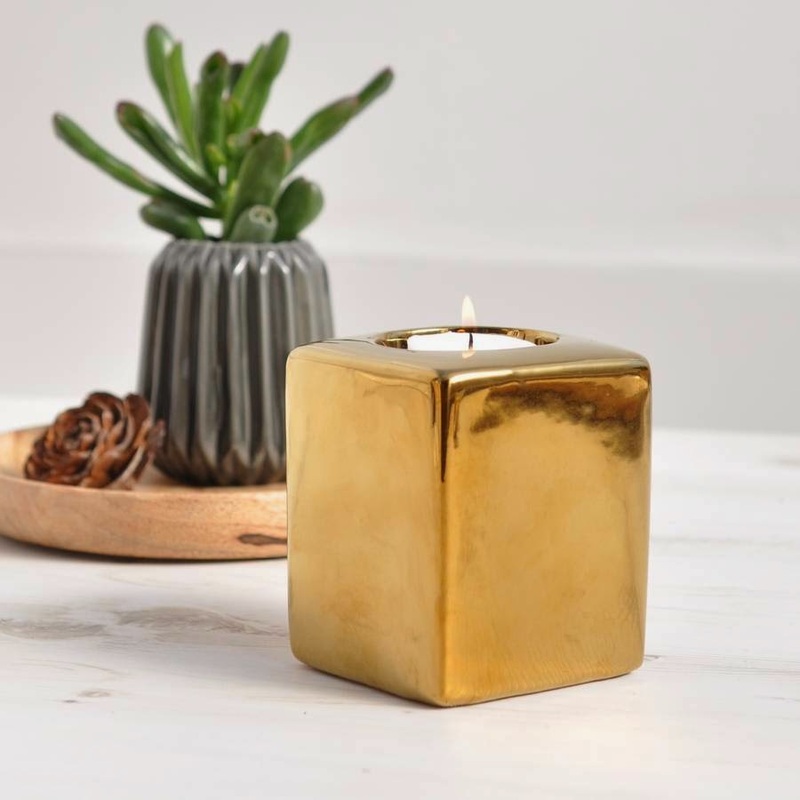 The priciest of the bunch but such a wonderful statement piece! I've never really use 'notonthehighstreet' before but it so good to browse and find amazing sellers and creators/artists like Henry's Future. I know I won't be able to get off the site now! What do you think of these picks? 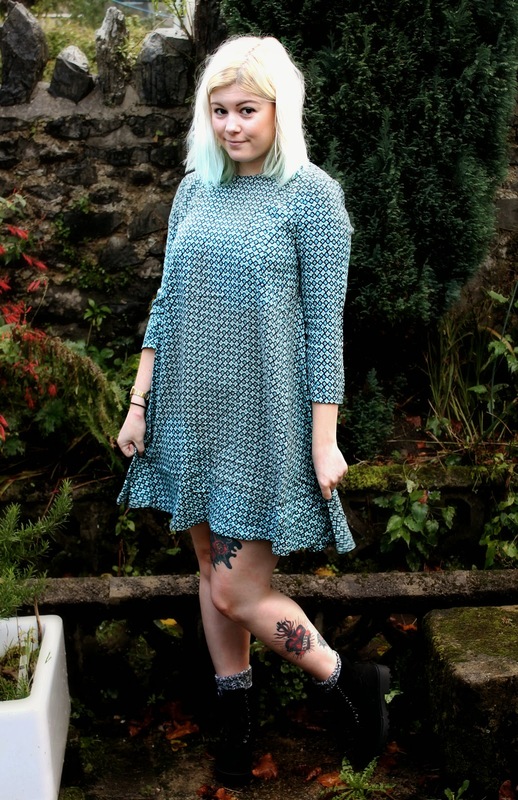 Ever used Not on The Highstreet before? Millennium Hotels Guide To Cardiff - Beauty Studio. 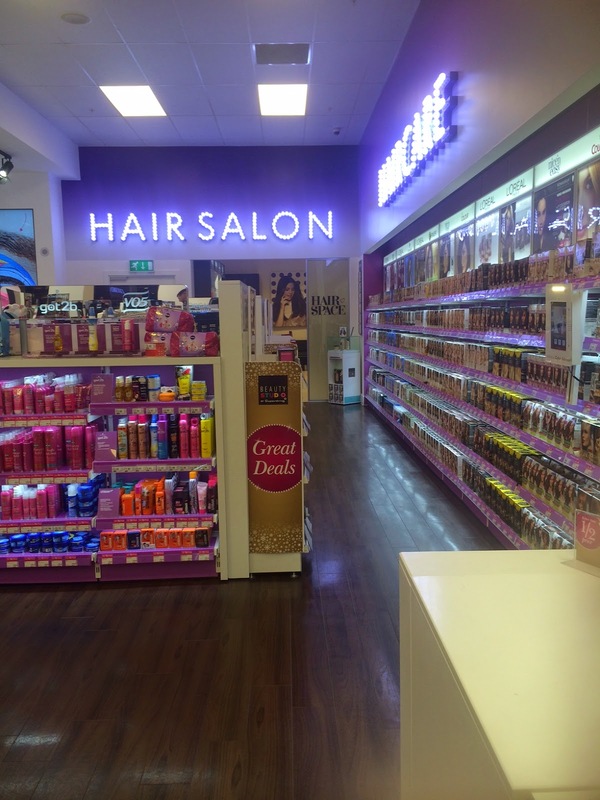 Superdrug Beauty Studio - Only In Cardiff! I was recently asked to partake in the Millennium Hotels 'Bloggers guide to Cardiff' project in which us locals show off our city, where to go and what to do. In keeping in theme with my blog and my interests I thought besides showing off the obvious (food places) I kick it with some city center beauty treatment - the Superdrug Beauty Studio! I've posted about this place before HERE and how much I love having such a unique store ONLY in our little ol' Cardiff. It 100% doesn't look like a Superdrug and it's main title is 'Beauty Studio' so it's a little confusing to look for but it is located in the St Davids 2 Center, Ground Floor just by the escalators. 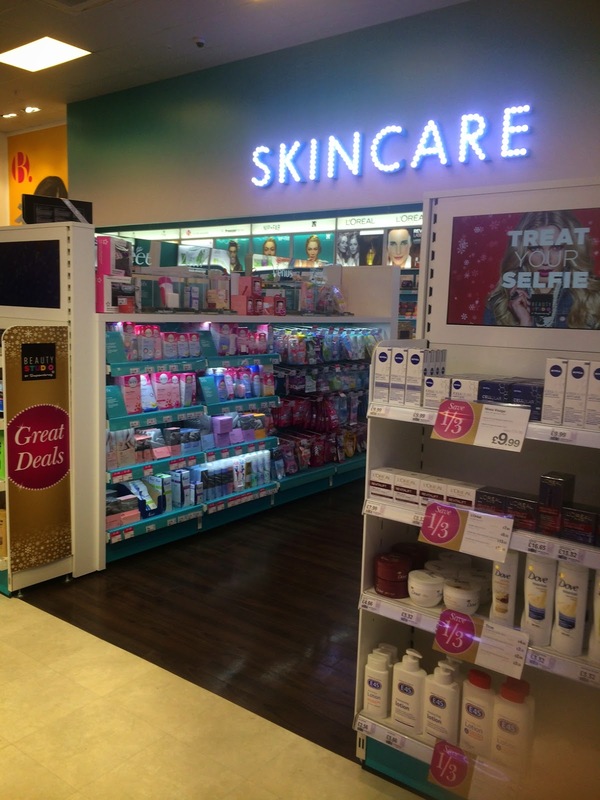 In this Cardiff exclusive, Beauty Studio offers a massive range of cosmetics that you can't pick up just any old place such as MakeUp Revolution and The Balm. 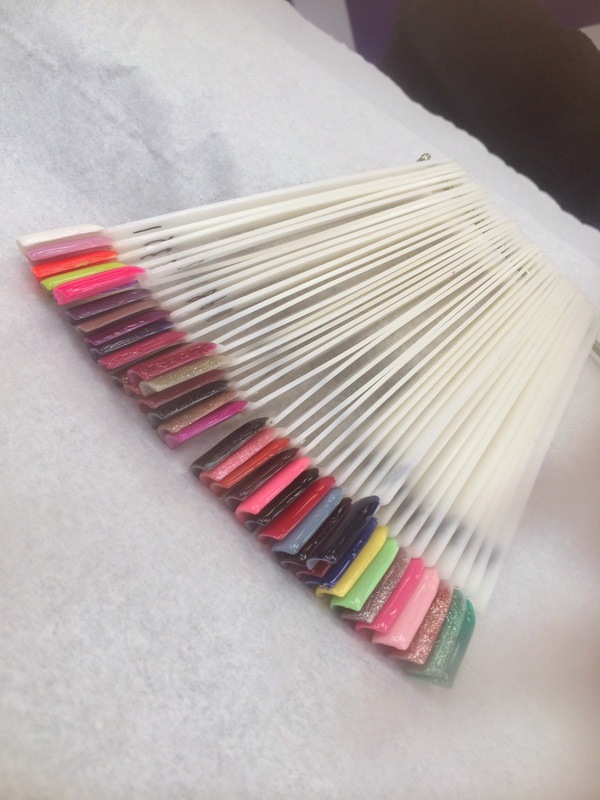 The best thing about it is the treatments, you can walk in and get your nails did, hair did and even pick up a piercing - dream! I opted to waltz in and get my Gelish nails done as for work I can't have them painted but can have them with gels. The gels last perfectly for about 2 weeks and then start chipping/growing out but they are easy to remove with a soaking in some polish remover. With an in-store hair salon, eyebrow threading and HD brows salon aswell as on-hand make-up artists and perfume experts, this place is a palace! It reminds me of Sephora which you find everywhere in the US and around Europe. Cover and Conceal - from Makeup Revolution. This little gem is not to be missed for any shopping trip in Cardiff! A nice little touch in the Beauty Studio is that most of the titles and descriptions for products were also written in Welsh - Diolch Superdrug! 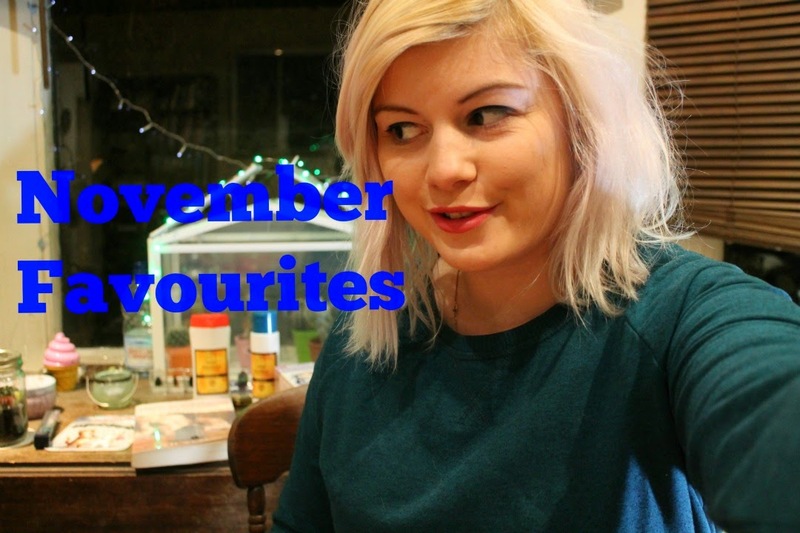 I've made my 2nd Youtube video and this time it's my November Favourites! 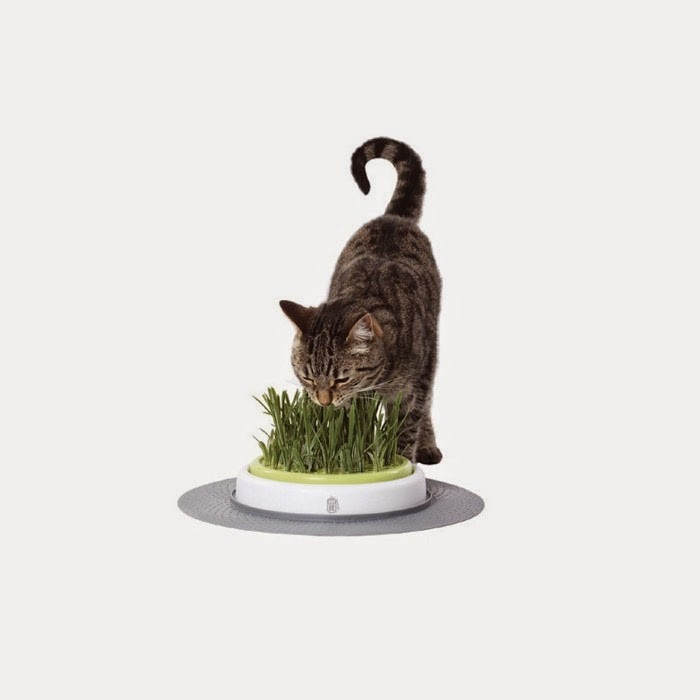 Prince's Christmas Cat Gift Guide. So I came back from Devon last night and was mean't to do alot of blog related things there...howeverrr I left my camera on (with the 'turn off automatically' button disabled) in my bag which rendered it useless haha! This is the BEST idea EVER! 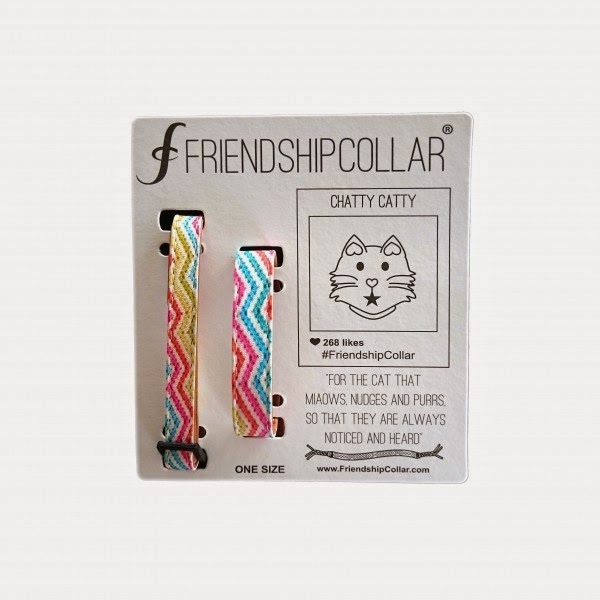 Basically your cat wears the collar and you wear the matching bracelet :') Bffs! 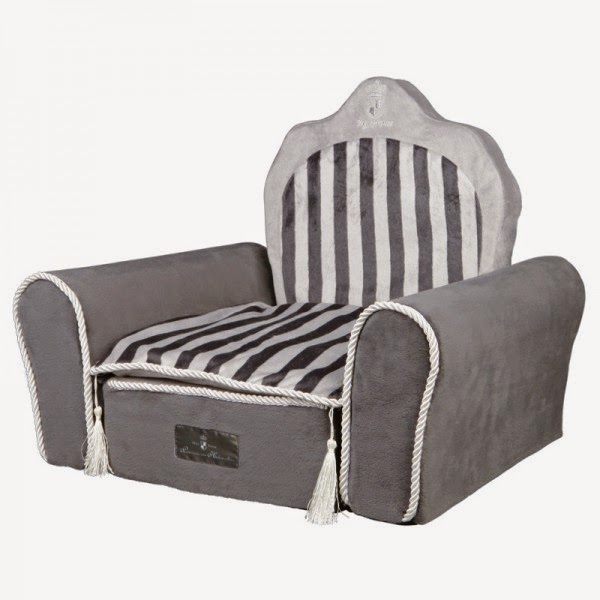 HELLO this is a throne for a Prince...a cat called Prince needs this and only this royal treat to lounge on. Kitty Kit also have this Prince radiator bed too - so cute! 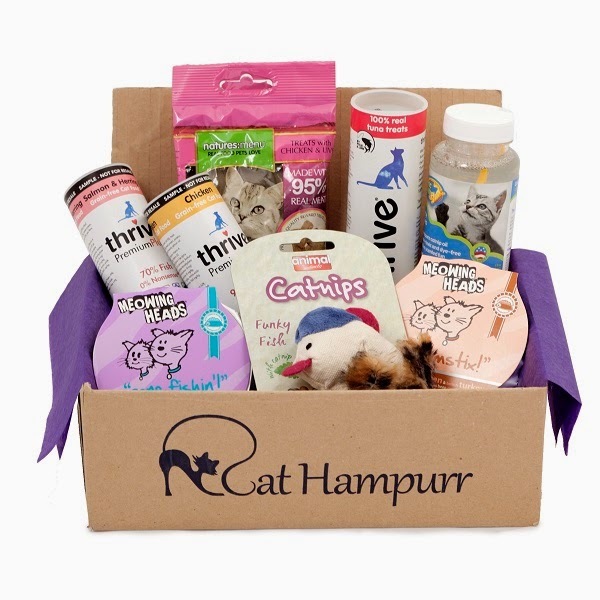 A one-off or monthly subscription box - for your cat! 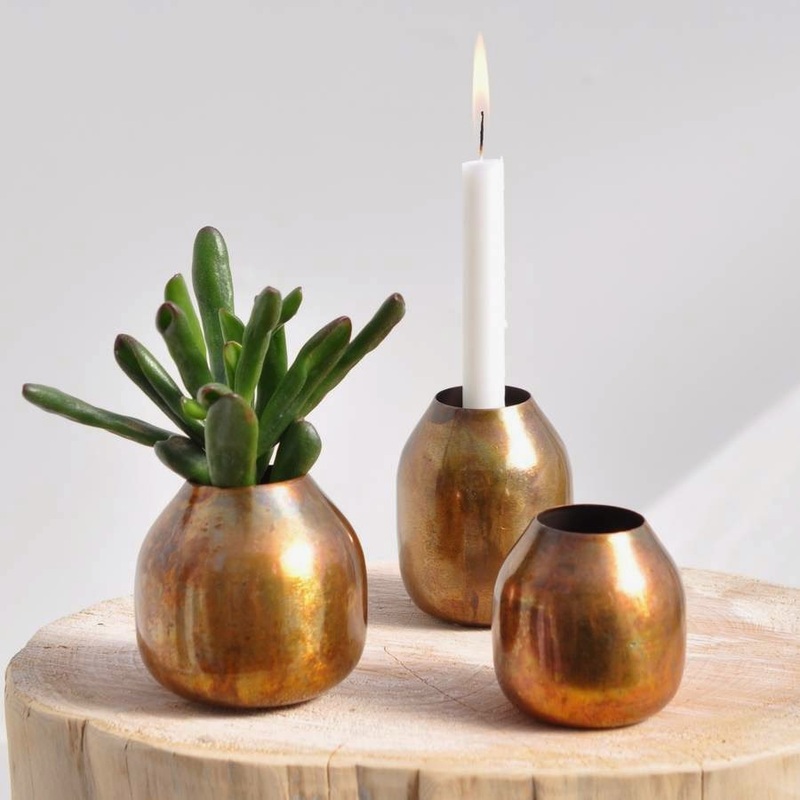 This is such a cute idea, gifts for all the love they give you. Prince loves to eat grass outside but now it's getting colder he prefers to snuggle up with us indoors. Bringing the outdoors to him - total diva! If I spend one night away or am out all day/night I feel so sad like I need to go back and feed Prince so I usually leave loooads of biscuits in his bowl. 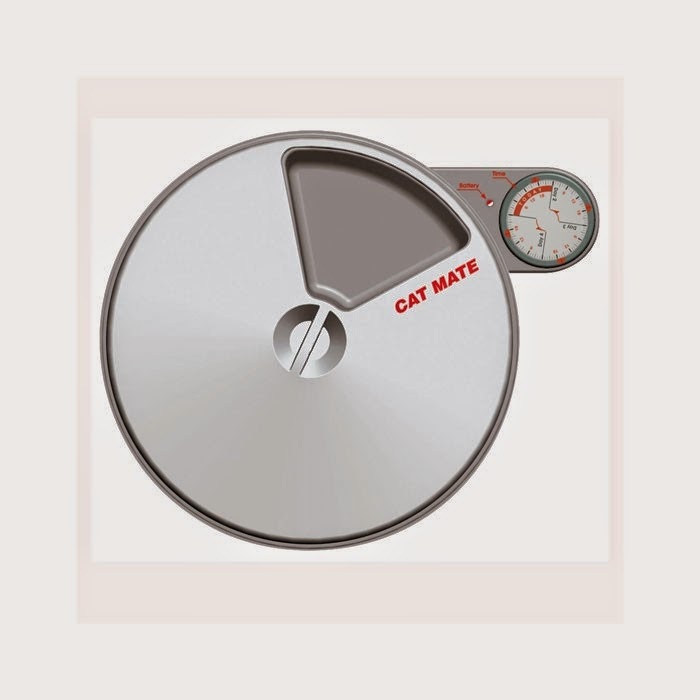 With this you automatically set times for it to feed the cat and it keep meat cool! I'm sure if Prince had a clue he would agree with me that these are great gifts! So it's already the 1st December and I have opened my Yankee calendar and I think I am burning one called Angel Wings right now which is a subtle Vanilla scent. What calendar do you have? Christmas Lily and Rose Bouquet c/o Debenhams Flowers. I'm on my own tonight as Ross is off away in Europe on tour with his band Chain of Flowers. I've slammed some chips in the over, bought a can of 'ting' and am binge-watching Louis Theroux on Netflix! I'm off to Devon tomorrow after an exciting little meeting to set-up me hopefully volunteering for the Cats Protection at their center! I really want to work with animals and I don't have many qualifications so this is such an awesome foot in the door and I can't wait to give back some love to the kitties who have been abandoned. I've got a November favorites video coming up too but depending on how much time I have it may be up in December (which is like 4 days?! Crazy!). They have free next day flower delivery too which is great! My flowers are almost 10 days old now and still look gorgeous and have filled my flat with the smell of Oriental lillies (which are kept waaay out of the way from Prince!) and decorated with berries and folded green leaves. 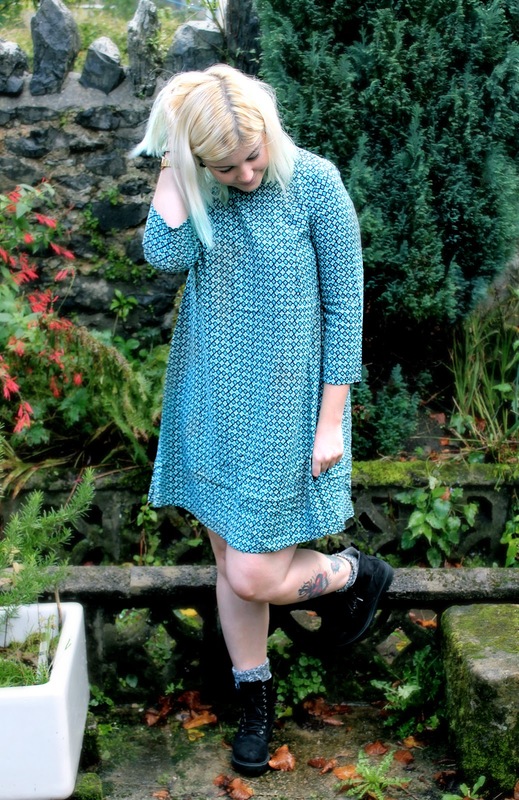 70's Style Print - outfit post. First up I want to say a huge thankyou to everyone who watched, commented, liked and subscribed to my Youtube channel after my first Youtube video - it mean't so much and I'm excited to share my next video with you! It was pretty windy out so my hair looks messy as haha! Like I said in my video I just love the fit of this dress it's massive and flowy and makes me feel comfortable about my weight. I also love that I can wear this without tights and just wear some chunky boots with some cable knit socks (that I also got from H&M and just lovee how cozy they are!). This week I'm going back home which I cannot wait for, I love getting away from Cardiff and working and just being able to relax in home comforts. Sadly today my bunny (who was featured in one of my first ever posts) Oliver had to be put to sleep as he was 6 years old and ill. 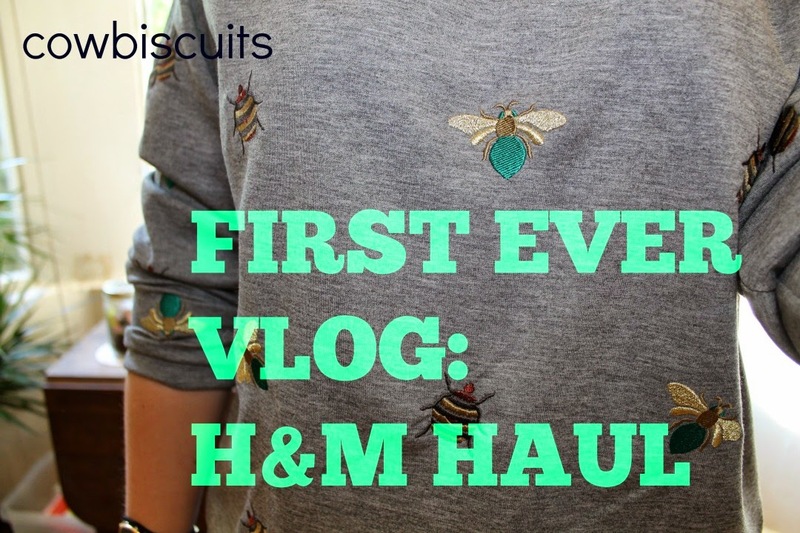 SO I bit the blog bullet and decided to 'Vlog' and hit up the weird world of Youtube! If you have Youtube I would LOVE for you to subscribe and give my little video a 'thumbs up'. I'd also love some feedback on what to vlog about and who your fave people to watch on Youtube are as I want to follow some more! I hope to do another one for next week and this time *fingers crossed* get the camera to focus on my face not the background but I feel I may need some practise and time with that one. Anyway like I said leave your links, your fave links and any tips with me I would love to hear it all! Well I've been super ill so been in bed all week! I've missed a bunch of blog events however attempted to cart myself out of bed on Saturday for a special festive afternoon tea with the Celtic Manor. It was only a couple of hours and I thought a little pampering with cake would make me feel a tiny bit better. If you don't know, the Celtic Manor is a huge hotel and resort that as you come into Wales via the Severn Bridge is unmissable- it's massive! It recently played host to the Nato summit where president Obama kipped in one of their new 'Hunter' style lodges - fancy! Anyway we were greeted by the gorgeous India who took 11 of us blog-types to a room where the Xmas decorations were up and Buble was singing his head off on the stereo - Christmas was here!! We were served mulled wine in glass teapots with their own jumper :') You know I was ill because I turned down the wine (yes I turned DOWN wine) in favour of some Assam tea to sooth my little throat. We all did a group cracker pulling and I was soo lucky to have won a paperclip! Woohoo! I donned my hat regardless of it being November as we were here for an exclusive try of the Celtic Manor Festive Afternoon Tea! There was 1 between 2 of us and I kicked off with the finger sandwhiches, my fave being roast turkey and cranberry and the chicken and stuffing mayo. I'm not a fan of salmon or prawns so I left those for my partner in food crime, Amy. But I did tuck into the Caerphilly cheese and leek mini tarts! CAAAKKEE! They looked so cute I couldn't bring myself to eat them... well that's a lie because I totally did. My faves were the Pistachio cone, the cherry and apricot Florentine and also the mini Christmas pudding which was boozy and had white chocolate inside! And just when I thought I couldn't fit any more food inside of me.. out rolled the candied-peel scones - of course with jam and cream! To see the full line-up of treats in more detail then take a look see here. It was such a relaxed atmosphere, it was lush to get out of the house and breathe some fresh air and chat to fellow blog pals! Thanks again to the team at the Celtic Manor for an awesome afternoon and I can't wait to see what's instore for 2015!